An authoritative and classic three-book collection, now in one volume. 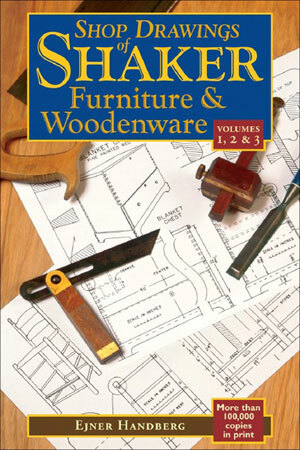 Together in one comprehensive book for the first time, these three volumes of Shop Drawings of Shaker Furniture & Woodenware capture the simplicity, precision, and utility of shaker craftsmanship. In print for more than 20 years, these legendary and authoritative volumes have served as guides for cabinetmakers and antique collectors worldwide. Includes shop drawings for more than 100 authentic pieces.